Wearing trendy jewelry instantly enhances an outfit by punctuating your personal style. 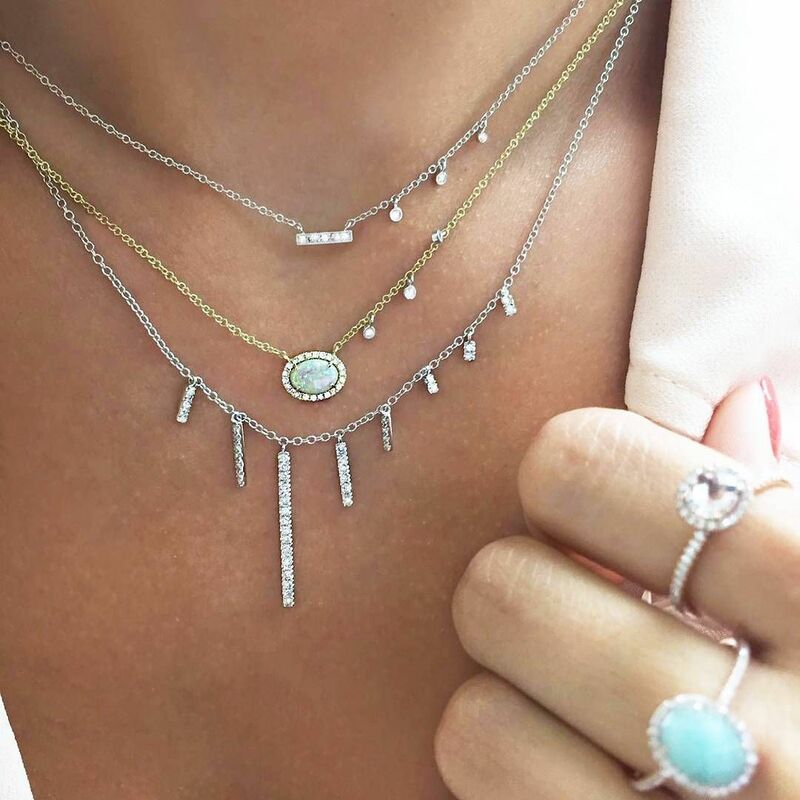 Whether it’s classic earrings, statement rings or a vintages necklace, you can accessorize with jewelry to make a fashionable impression with nearly no effort at all. We know you’re thinking: my jewelry has to be on trend, too? No, not exactly. A collection of meaningful, timeless pieces is always classic, chic, and acceptable. But if you do want to buy into some of the latest trendy jewelry, there are some excellent options for every style and any budget. From chunky, yet sleek, gold hoops, to natural designs, here are our favorites to buy right now. Showcase your bold style with a statement rings or an unexpected necklace that’s completely. Large, brightly colored gemstone rings are a superb choice that can instantly transform a basic outfit into a showpiece. Asymmetrical jewelry is the hottest trend in unique accessories right now–from mismatched earrings to necklaces that dangle askew. While the latter may sound hard to pull off without looking a little awkward, anyone can make it look good with the right complementary fashion choices. Rather than the heirloom pearls you know and love, today’s trendy jewelry upgrades their timelessness in a more modern way. For instance, a single pearl on a pendant adds interest to a simple chain. Natural gemstones are having their moment in today’s world of fine jewelry as well. Whether incorporated into engagement rings or the feature of a bracelet or anklet, these colorful beauties add personality to you and your fashion choices. Breathing new life into more traditional pieces, enamel makes for easy-to-wear trendy jewelry for daily activities or black-tie affairs. Professional jewelers like the Jewelry Design Gallery are particularly skilled with enamel and can truly transform any of your existing pieces. Convertibles are the most unique accessories making a splash this year, as people are looking for more bang for their buck when it comes to fine jewelry. Think of a necklace that has removable statement rings or hoops you can wear two ways. Trendy jewelry is such a fun way to enhance your personal style. While you’ll always love your classics that last a lifetime, adding a few more unique accessories to your collection can be just what your wardrobe needs.